When it comes to your business, building a visual identity is vital to the development and reputation of your brand. Business signage plays a significant role in the growth of your business identity as well as helping you to target the right customers. However, getting your business signage right can be difficult, so to ensure you get it done right the first time, it’s best to leave it up to the signage professionals! 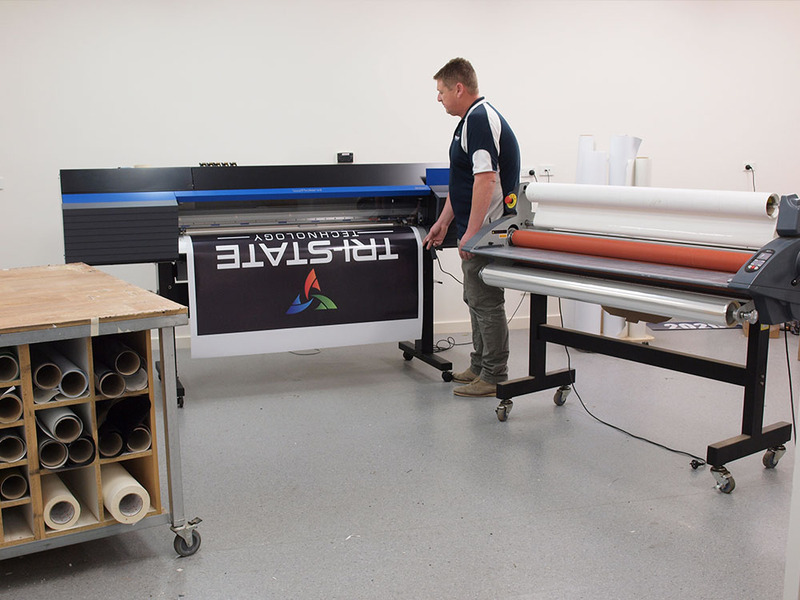 Here at Tri-State Technology, our professional signwriting team has over 30 years of industry experience. Our expert team has built and maintained long-lasting client relationships with our clients by withholding a commitment to staying on the cutting edge techniques of the signage industry. Finding the right signage service for your project can be overwhelming, but with Tri-State Technology it doesn’t have to be! Our team has the experience to handle any project and any design. Our wide range of services means that you’ll be able to find a service that will suit the needs of both your business and your budget. So, when it comes to finding a signage company that will set you apart from the competition, Tri-State Technology is a clear choice. How do we print our signage? Our professional signwriters beautifully combine traditional signwriting methods with state-of-the-art technology to provide our clients with unparalleled results. Our team will always work with you to ensure that your design vision is not only met, but exceeded. Our commitment to growing our skill development means that we are continually evolving with the times, making us well known in the signage industry. With a passion for what we do, we hold a great commitment to ensuring that our client’s expectations are always met. This means always delivering a high standard of service from design right through to signage manufacture and installation. We ensure you always get great value from your investment, with all of our signage products being appealing, durable and of only the highest quality – making sure your brand is known for all the right reasons! Contact us today for all your signage needs! If you’re looking for a premium signage service, no matter your project, look no further than Tri-State Technology! Work with us, and you’ll see the benefits of working with a professional, well-experienced signwriter can bring to your Australian business. Call today!